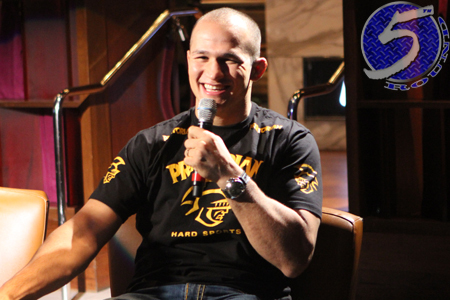 To assist in promoting Junior dos Santos’ (Pictured) first heavyweight title defense when he meets Alistair Overeem at UFC 146, the planet’s most prestigious MMA organization will release a three-part “UFC 146 Primetime” series to help generate additional hoopla. The documentary provides in-depth footage of dos Santos and Overeem as they prepare for their 265-pound shootout. The first episode airs May 11th at 11PM ET (8PM PT satellite) on FX. The last two installments will hit the airwaves on May 18th and May 25th, respectively, during the same time slot.